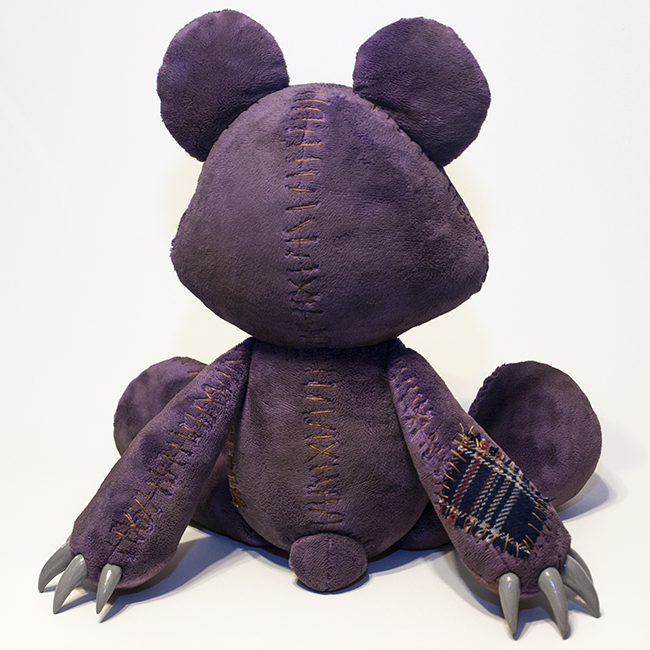 A real-life, cosplay appropriate plushie of Annie's favorite plushie and best friend, Tibbers, from the popular game League of Legends! 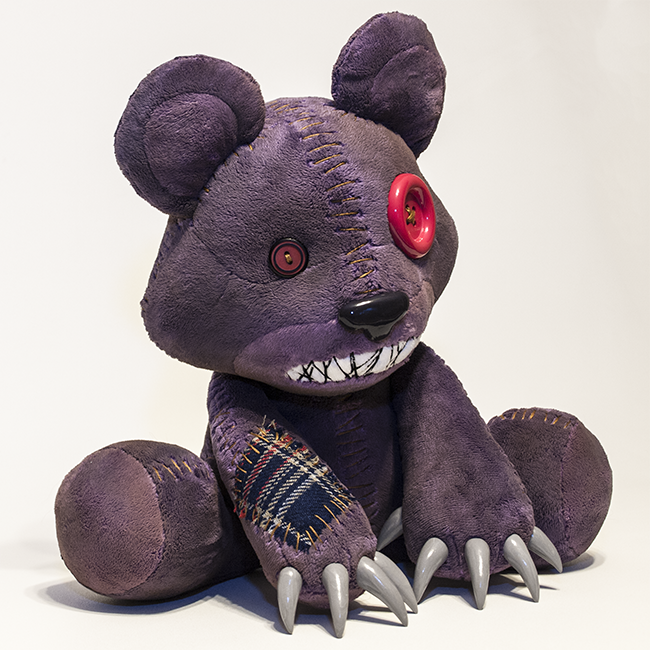 This particular design is based on the Goth Annie skin. 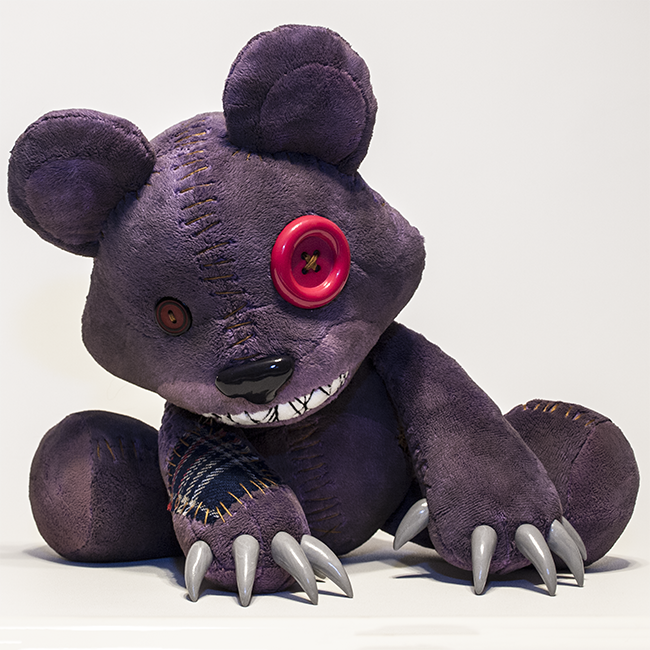 The plushie is made from minky and filled with high quality stuffing for a soft, cuddly touch and bubbly look. 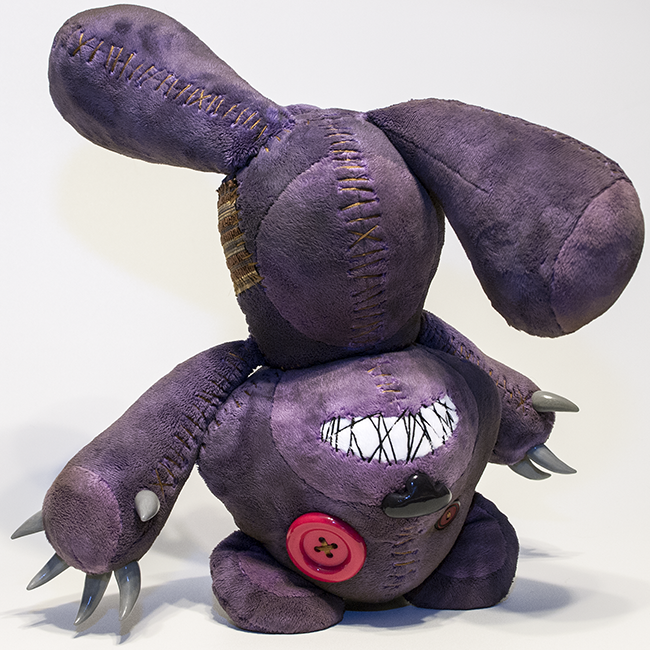 His eyes are buttons which have been sewn and glued in place for extra security. 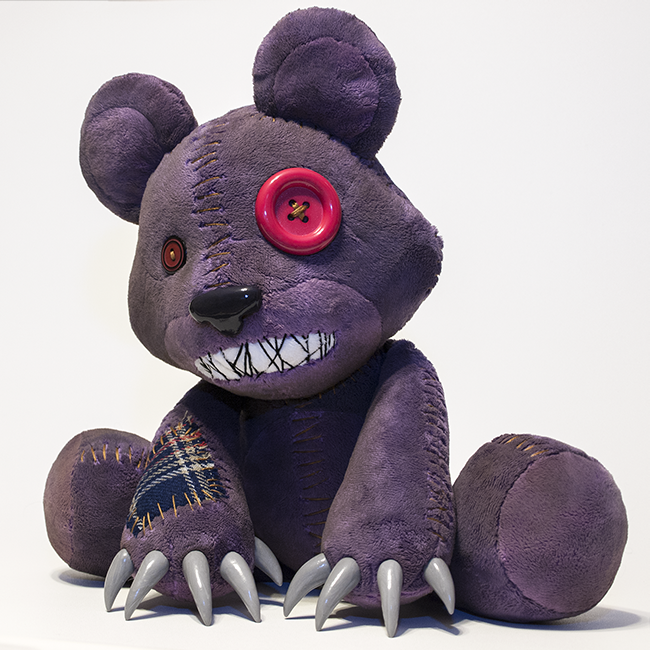 His nose and claws are custom hand sculpted and securely glued in place, and painted with a clear acrylic coat for extra protection and shine. 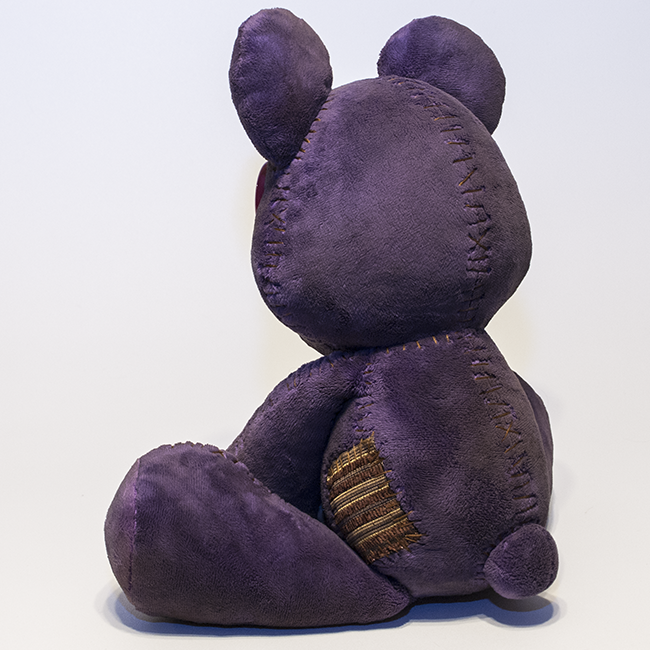 His mouth stitches and all of the decorative seam stitches and patches were meticulously sewn by hand on the surface of the plushie--after properly sewing and stuffing him--to appear more rawly made than he actually is. His fur has been airbrushed for a creepier and more vintage look. 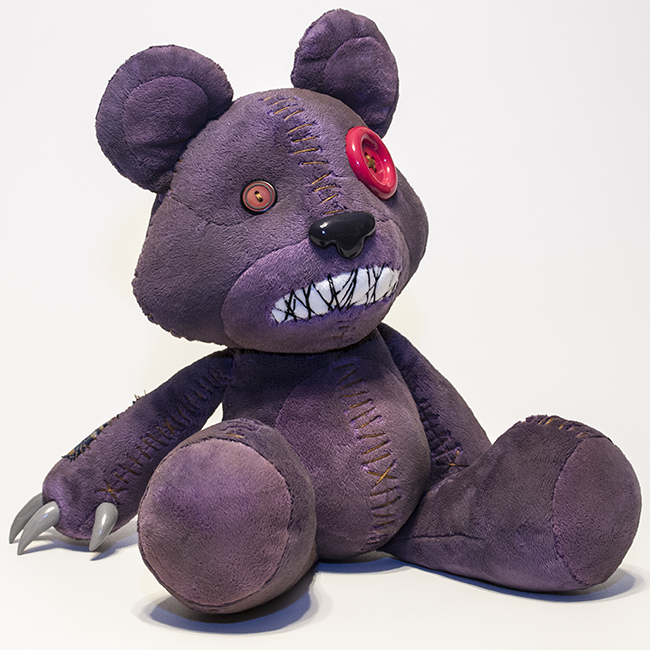 Please note that Tibbers was designed to be floppy and cuddly (despite his scary appearance), and is thus intended to sit and cannot stand on his own.